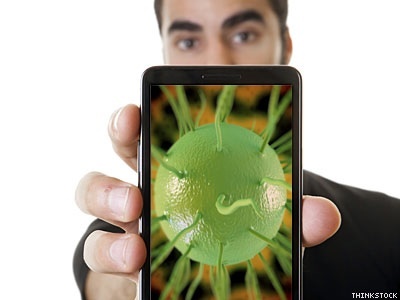 A recent study from the Los Angeles LGBT Center finds that gay and bisexual men who use smartphone hookup apps are more like to contract certain sexually transmitted infections. A new study from the Los Angeles LGBT Center links the use of smartphone hookup apps like Grindr and Scruff to a higher risk of contracting sexually transmitted infections. Interestingly, there was no considerable difference in the rate of HIV or syphilis infection between men who used the apps and those who didn't. The study asked 7,184 men — who were tested for STIs and surveyed at the Center — questions related to recreational drug use and how they found sexual partners. Thirty-four percent met sexual partners in person at bars or clubs, 30 percent used a combination of in-person and online dating, and 36 percent used smartphone apps and/or a combination of the other methods. The authors of the study also found that younger, educated men under 40 preferred using smartphone apps to seek potential partners. Those who used smartphone apps were also more likely to partake in recreational drug use and riskier sexual behavior. According to the study, Grindr reported 6 million users in 192 countries in 2013. That's a marked increase from just 2.5 million users in 2012. “Despite the popularity of this emerging social networking method, there is little published research on the sexual behaviors or the risk of sexual transmitted infections of users of these GSN apps,” reads the study. The authors of the study compared 105 participants from Grindr to those recruited through traditional media. "Grindr participants were younger, more likely to identify as Caucasian, and reported a great[er] number of sexual partners in the past two weeks compared to individuals recruited through emails or phone calls," the study reports. Participants were recruited for the study based on their location in West Hollywood or Long Beach, Calif.
Data for the study was collected in face-to-face interviews conducted by HIV and STI testing counselors from August 2011 to January 2013.